How Can Vicky Help You? 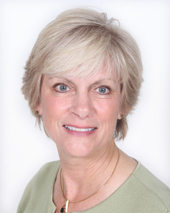 Vicky Miller is a full-time REALTOR® licensed in DE. She lives on a golf course community in Middletown and has been involved in various aspects of marketing and sales for over 25 years. She comes from a close-knit family with her husband of over 35 years, four adult children, six grandchildren, and her centenarian mother - who all live within driving distance. Selling or buying a home can be one of the most stressful experiences in anyone’s life and Vicky prides herself in her ability to help clients maneuver through the labyrinth of emotions that present themselves during these processes. Having a bachelor’s degree in psychology helps in these endeavors as well as helping to negotiate for her clients when striving to get the best price for the home they are either selling or buying. Active Adult Communities, first-time buyers, investors, short sales, foreclosures - Vicky has seen them all. When you’re ready to buy or sell your home, give Vicky Miller a call at 302 354-4409 or e-mail at vmiller@psre.com.